A high-dollar Obama donor who was caught on video brutally beating his girlfriend got off with 25 hours of community service last week after he pled guilty to domestic battery charges. 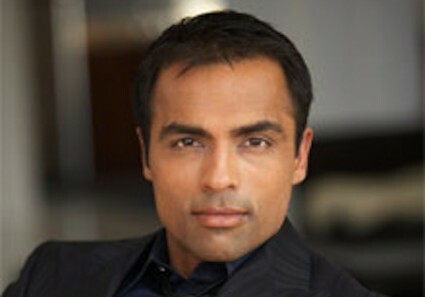 CCTV footage caught Gurbaksh Chahal, the CEO of San Francisco tech startup RadiumOne, kicking his girlfriend 117 times, including blows to the head, and trying to smother her with a pillow during a vicious 30-minute assault. He faced 45 felony charges until the footage was deemed inadmissible. As a result, Chahal has managed to avoid jail time, the Daily Mail reported on Thursday. According to police reports, Chahal also threated to kill his girlfriend several times. Silicon Valley executives have come under scrutiny for their political activities in recent weeks. The CEO of web browser company Mozilla was forced to step down after it was revealed that he donated $1,000 to an anti-gay marriage proposition in 2008. Chahal’s political contributions indicate more liberal sensibilities. He has donated more than $100,000 since 2011, all of which went the Democratic Party and Democratic candidates. Those contributions include $81,600 to the Democratic National Committee and $5,000 to President Barack Obama’s reelection campaign. RadiumOne’s board of directors includes Steve Westly, a major Obama donor who came under scrutiny after four companies that he invested in received stimulus subsidies while Westly sat on an advisory board directing the disbursement of stimulus money. Chahal has visited the White House twice, on Nov. 30, 2011 to see the president, and on Dec. 14, 2012, to see the president and the first lady, according to White House visitor logs. Chahal also greeted Obama at a dinner in San Francisco in 2012. It was not immediately clear whether activists who boycotted Mozilla for its former CEO’s opposition to gay marriage would also target RadiumOne and other Chahal startups.